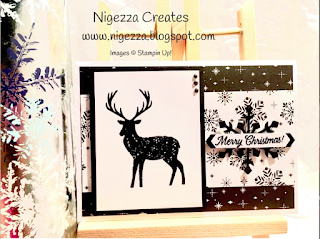 I really enjoyed making this card - love this reindeer with its Christmas jumper! I love the monochrome design as well. I used Extra Thick Whisper White for the base and the mat is from The Merry Little Christmas DSP. 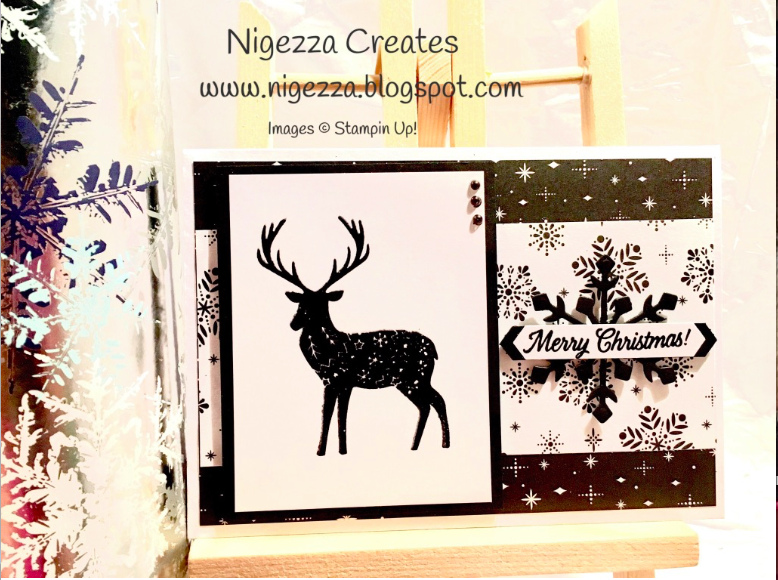 The topper is made from ordinary Whisper White and Basic Black cardstock. 3 peals that I coloured in with a black sharpie or you could use the black gems that Stamping Up have brought out in the new Autumn and Winter catalogue. Fast Fuse - this is on offer until Oct 10th - buy a Fast Fuse get 2 refills absolutely free. Order in the normal way and the free ones are added free to your order.